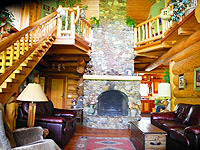 White Saddle Country Inn on Bluff Lake near Tatla Lake provides lodge and cabin accommodations. A 2 ½ hour drive west of Williams Lake and ½ hour south of Tatla Lake brings you to some of the most spectacular mountain scenery in B.C. 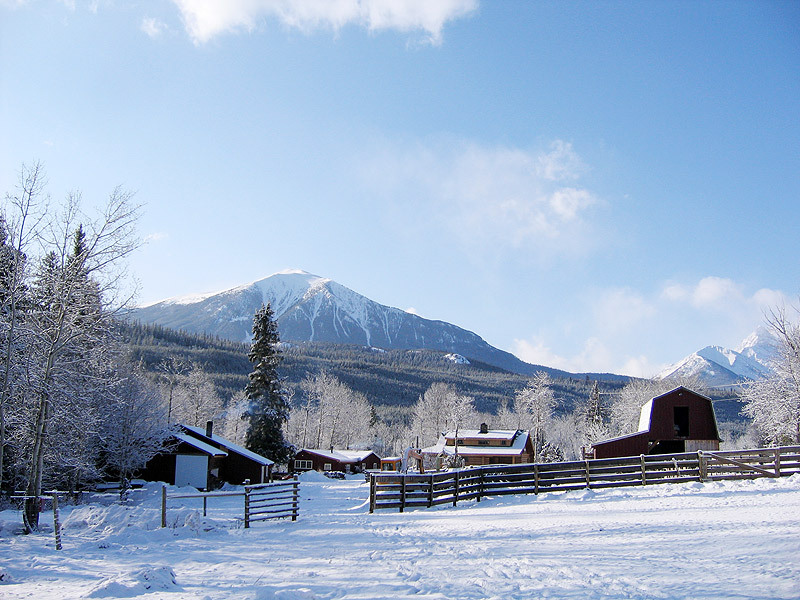 White Saddle Ranch Country Inn (and B & B), at the south end of Bluff Lake and a mere 60 km from Mt Waddington, is surrounded by the majestic peaks of the Coast Range. 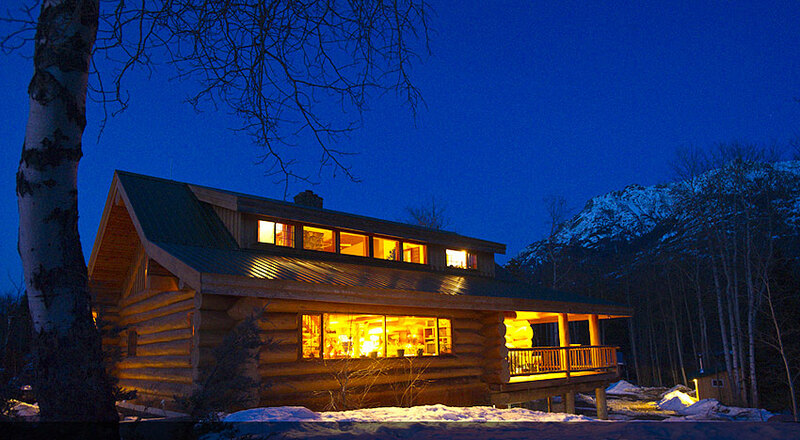 Here, you can relax in a self-contained cabin or hand-built cedar log lodge. All cabins have fully equipped kitchens including freezer and BBQ, etc. Meals in the lodge can be arranged on request. Due to the remote location, the ranch is off the grid. Electrical power is generated by a pelton wheel making the ranch completely energy self-sufficient with no environmental impact. All of the cabins and a wood-fired Finnish sauna are nestled close to Mosley Creek enabling you to enjoy the sounds of the rushing waters. 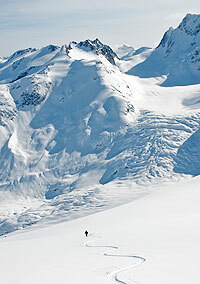 Find yourself hiking or mountain-biking in the valley bottom or high in the alpine. Canoeing, fishing and swimming are favourite summer activities or treat yourself to a scenic heli tour with White Saddle Air Services. 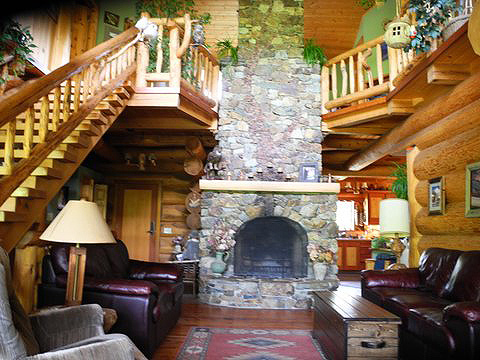 For the really adventurous, get dropped off in the high country and experience the alpine from our rustic mountain cabin. Also offered is our “Wilderness ESL Program” (English as a second language) taught by a CELTA certified teacher with a working knowledge of French, German and Spanish. With the Mt. 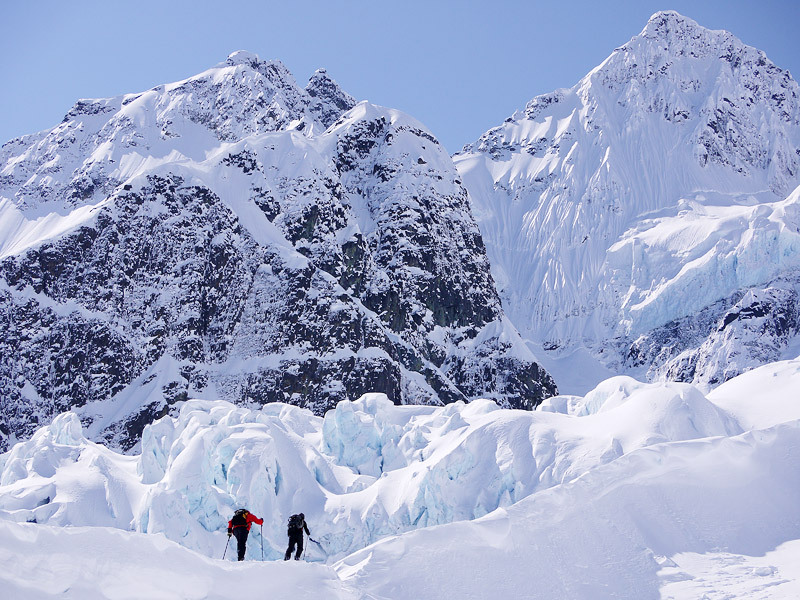 Waddington range just a short heli trip away, White Saddle Ranch Country Inn is the closest accommodation to this world-class climbing destination. Soaring up to 4,019 meters (13,185 feet), Mt. 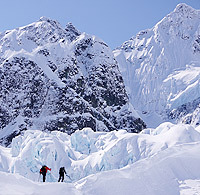 Waddington is the pinnacle of a complex of many peaks offering a large of variety of difficulty that appeals to a broad spectrum of abilities. 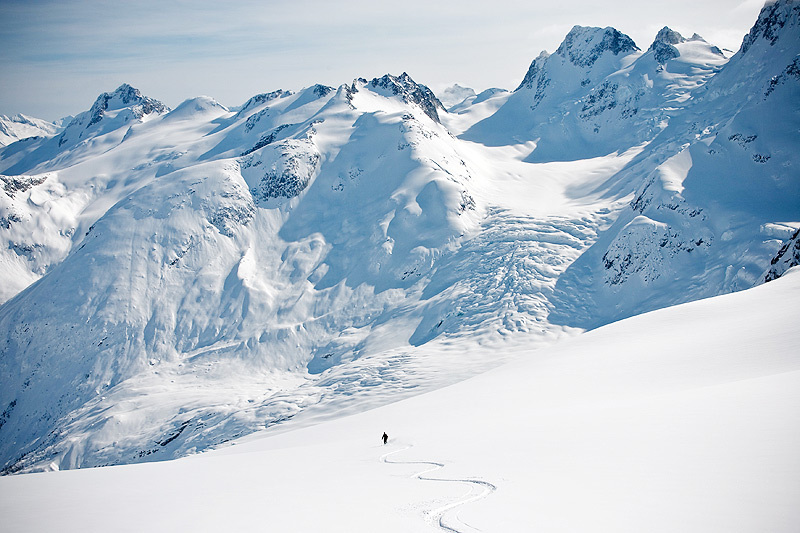 For a winter Heli-Ski vacation, book in with Bella Coola Heli Sports, or go your own path with backcountry touring or close by cross-country skiing. After a lazier day of ice fishing, return to a beautiful crackling fire in the lodge. Bluff Lake is approximately 160 miles west of Williams Lake or 170 miles east of Bella Coola.